The University's veterinary oncologist Timothy Fan and chemistry professor Paul Hergenrother have worked for over a decade on a new drug to combat brain cancer. A drug has been cleared for use in a clinical trial by University faculty that will help treat brain cancer. The drug, PAC-1, causes cancer cells to self-destruct and will be given to patients with anaplastic astrocytoma, a rare malignant brain tumor, and glioblastoma multiforme, a fast-growing, late-stage brain cancer. 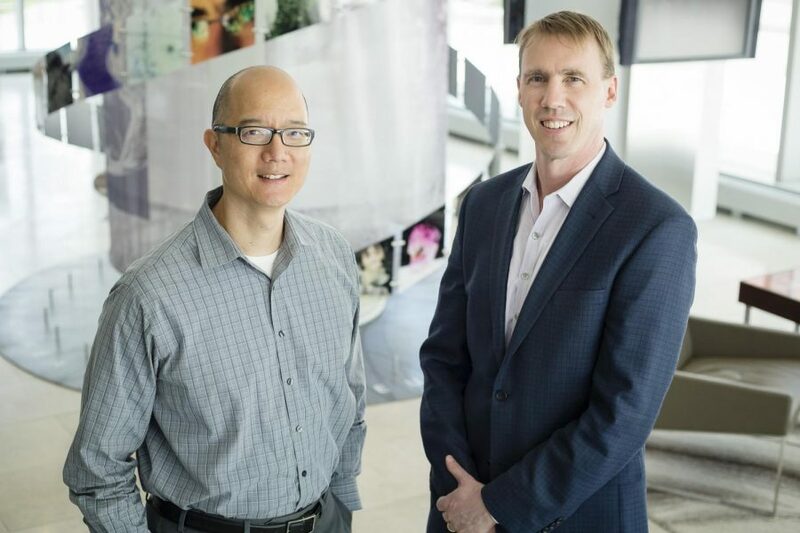 University veterinary oncologist Dr. Timothy Fan and chemistry professor Paul Hergenrother have been collaborating with their colleagues for 10 years to prepare the drug for clinical trials. The trial will be approved to patients with late-stage cancers whose condition worsened after first-line therapy, which is the initially accepted treatment regimen given for cancer. The phase I trial will make sure that PAC-1 can safely be used with temozolomide, a chemotherapy drug used with brain cancers. But Fan said temozolomide is not the only drug that it can be used with, and that PAC-1 has the best chance to improve when used with other drugs. Phase I trials usually test if drug will be safe to use in human patients. Fan said the trial will probably go on for several years, and while he hopes the drug will make a difference, it is still too early to tell. PAC-1 was successfully tested on a few dogs with different types of brain cancers that are similar to what glioblastoma is to humans. Dogs were used to test PAC-1 because they are better models for human cancer than rodents; rodents usually get injected with the human cancer cells before being treated, and dogs have cancers that are more genetically similar to humans. With the tests done so far, PAC-1 has proven to be safe with minimal side effects. But Fan said a larger study in dogs will be needed to decide if the effects are consistent and reproducible. Hergenrother said it is difficult to predict how long the clinical trial will last. “This will be based on how well the patients tolerate it and respond to it,” Hergenrother said. For humans, 375 mg doses of PAC-1 each day are shown to be tolerable for those with late-stage solid tumors and lymphoma, while 375 mg doses of PAC-1 will be given to patients with brain cancer on the first day, and the dosage will then increase to test how it will react with temozolomide.